I am a male about 11 weeks old. I will need confirmed adoption, foster or rescue placement by 10am on 04/02/2019. 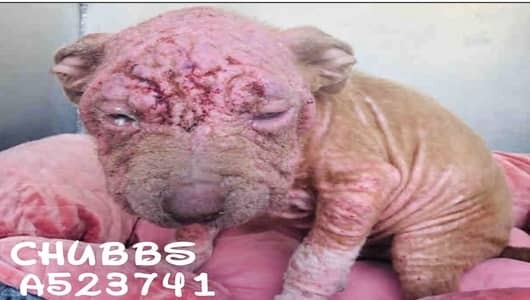 1 Response to "Chubbs is just a baby and has only known pain and suffering in his short life"
IF this Baby is an "owner surrender"..WHY THE FUC! arent the "owners" in JAIL!!!! !